The Manu Maharani is located away from the hustle and bustle of the city. 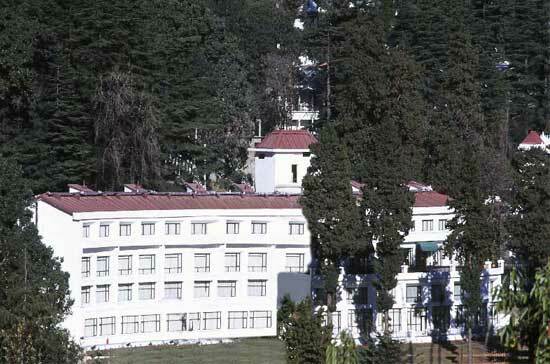 Manu Maharani at Nainital is one of the most luxurious hotel in the Kumaon region. Standard Rooms, Duplex Rooms, Suites, Lake Facing Rooms, and Terrace Rooms. H/C Running Water, Newspaper, Direct Dialing STD/ISD Facility, Internet Connection, Travel Desk Service, Convention Centre, Car Parking, Safe Deposit Box, Free Room Service, Doctor on Request, Fax on Application, Currency Exchange, Satellite TV, Laundry, Channel Music.